Examples of sounds from the Greatest Hits dataset. Click each image to play. Materials make distinctive sounds when they are hit or scratched — dirt makes a thud; ceramic makes a clink. These sounds reveal aspects of an object's material properties, as well as the force and motion of the physical interaction. In this paper, we introduce an algorithm that learns to synthesize sound from videos of people hitting objects with a drumstick. 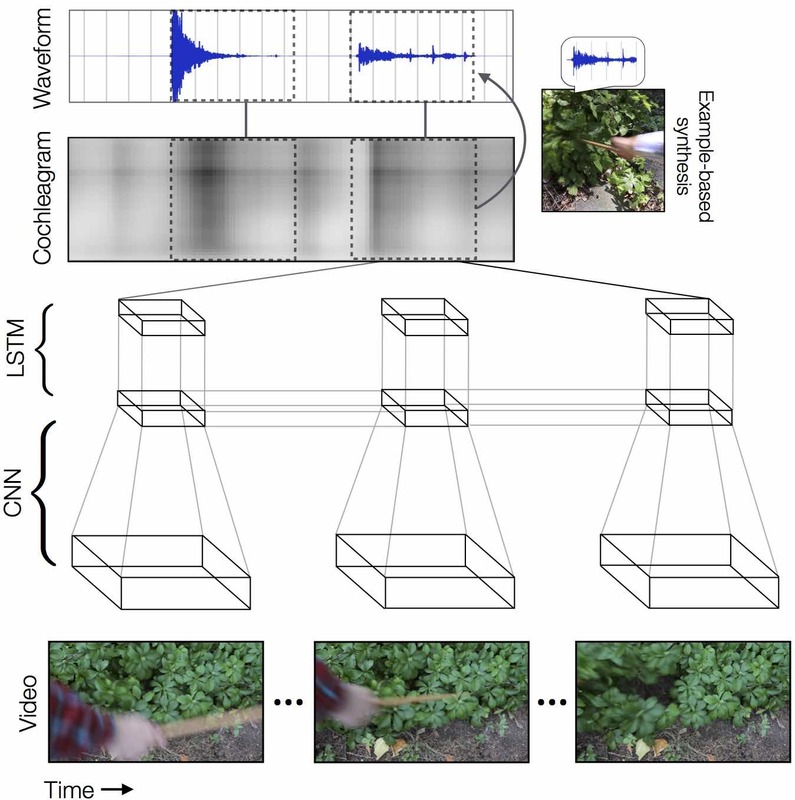 The algorithm uses a recurrent neural network to predict sound features from videos and then produces a waveform from these features with an example-based synthesis procedure. 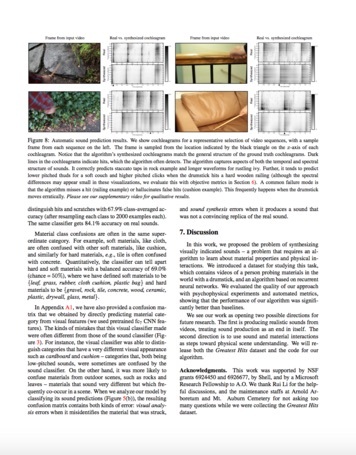 We demonstrate that the sounds generated by our model are realistic enough to fool participants in a "real or fake" psychophysical experiment, and that they convey significant information about the material properties in a scene. Code and additional results coming soon! This video shows clips from our dataset, and algorithm results. Press: Quartz, Washington Post, Boston Globe, MIT News. A sample of videos from our datset. Please note that these are recorded sounds (not the sound predicted by our algorithm). More sample videos here.